Last summer, Stephen Colbert turned his laser eyes on a new product called Vessyl, a “smart” cup that tracks how much liquid you consume. “Is there any aspect of being a cup this cup can’t do?,” Stephen asked during the brutally funny segment. Mark One–the San Francisco company behind the $200 Vessyl–was undeterred, and ended up raising more than $3.5 million to develop the idea through its pre-order campaign. And while the company is “continuing to work on perfecting Vessyl’s sensor technology,” today it launched a simpler version of its product–a $99 smart cup that will be sold in Apple stores and online. The so-called Pryme Vessyl is cheaper and has fewer features than the Vessyl proper. Rather than use molecular chemistry to analyze what you’re drinking, this cup simply tracks how much you’re drinking, and reminds you to drink more. At half the price, the cup eschews the original Vessyl’s fluffier features–like identifying beverage types and nutritional information–for functionality that focuses on just keeping you hydrated. The 16-ounce cup does this by using a cadre of sensors, including an accelerometer, that needs to be charged roughly every five days via a wireless charging coaster. 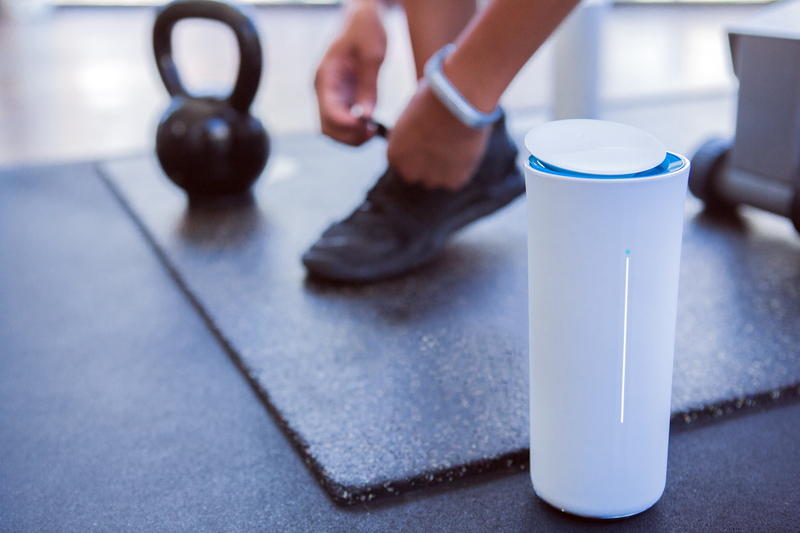 On the side of the cup, a blue light pings you to communicate whether you need to drink more, or if you’ve reached your “pryme,” based on a “proprietary hydration algorithm” determined with help from Dr. Hanson Lenyoun, an MD on the Mark One team. It’s an easy product to skewer, as Colbert proved–proprietary hydration algorithm–but it has plenty of peers. In a way, it’s a compatriot of Soylent, the company that aims to free your mind of the annoyance of having to think about eating. It’s also spiritually related Spire, a piece of hardware that tracks your mindfulness and trains you to be calm. All of these devices aim to do use hardware and software to reach an algorithm-determined best self. Here’s how Vessyl puts it: At your Pryme, you are mentally sharp and physically strong. We want you to Pryme for your moments of greatness. By offloading the vagaries of being a human–drinking, eating, breathing–to smart hardware, these products aim to make you a more productive person. Whether or not you believe that technology can help you attain that best self? Well, that’ll depend on you (and your proximity to the Bay Area, probably). If your interest is piqued, you can find Pryme at the Apple store.